There’s no better vacation than a trip to a national park. While iconic parks get a lot of love (and crowds), there are more than 400 sites across the country in the National Park System. That’s more than 400 opportunities for connecting with the outdoors, witnessing an amazing wildlife moment, learning important lessons from history, and sharing adventures with friends and family. As you plan your next adventure, check our top 10 alternatives to popular national parks. Some hidden gems are short drives away from their more visited siblings, while other lesser known destinations offer similar experiences -- but all are perfect places to #FindYourPark. 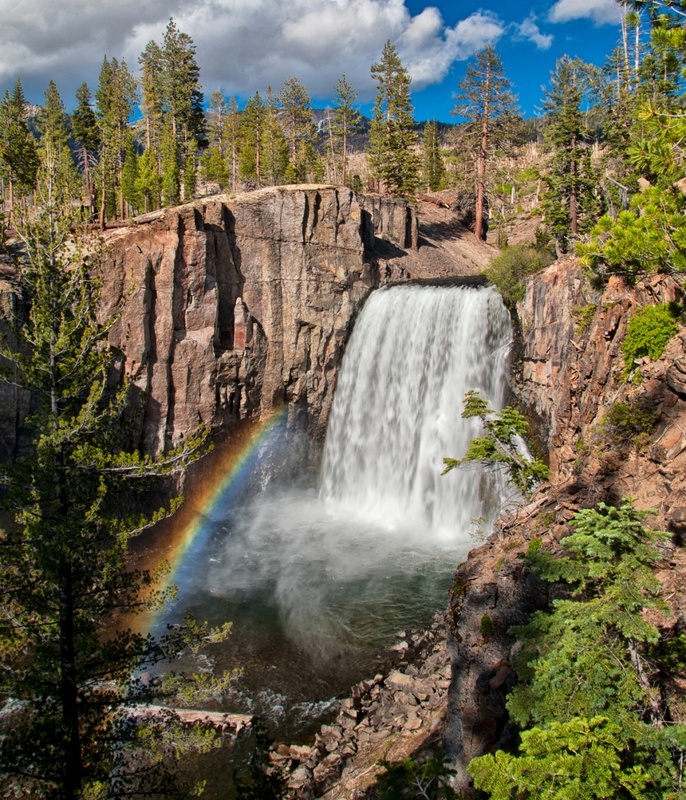 (Photo of Rainbow Falls at Devils Postpile by Kat Connor of www.sharetheexperience.org). Yosemite National Park is best known for its waterfalls, towering granite monoliths, deep valleys and ancient giant sequoias. Last year, more than 4.3 million people visited this California park. For those looking to beat the summer crowds at Yosemite, head to Devils Postpile National Monument. Located about 90 minutes from Yosemite (or about 3 hours from the valley floor), Devils Postpile is home to the 101-foot high Rainbow Falls, pristine mountain scenery and the Devils Postpile formation -- a rare geologic sight of columnar basalt. Whether you like hiking, fishing, biking or horseback riding, there is something for you at Devils Postpile. (Photo of the Painted Wall at Black Canyon of the Gunnison National Park by Ryan McGinley of www.sharetheexperience.org). Grand Canyon National Park is an iconic national landscape known for its immense size and uniquely colored rock formations. 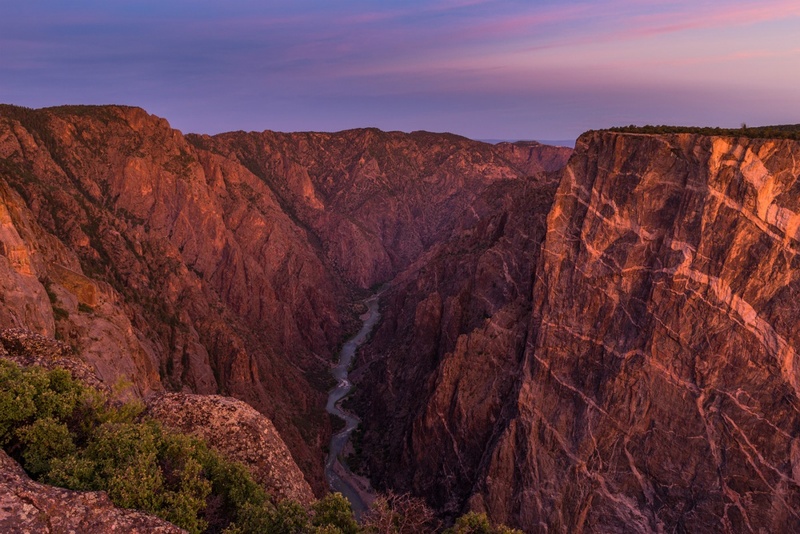 For another geologic wonder that will rock your world, visit Black Canyon of the Gunnison National Park. Some of the steepest cliffs and oldest rocks in the world create a narrow canyon that tests even the most expert hikers and climbers. But don’t worry if you’re not an expert. Short hikes and scenic drives allow for wonderful sightseeing, the Gunnison River offers incredible fishing, and dark night skies provide bright and beautiful stargazing. This vertical wilderness is a must-see destination! 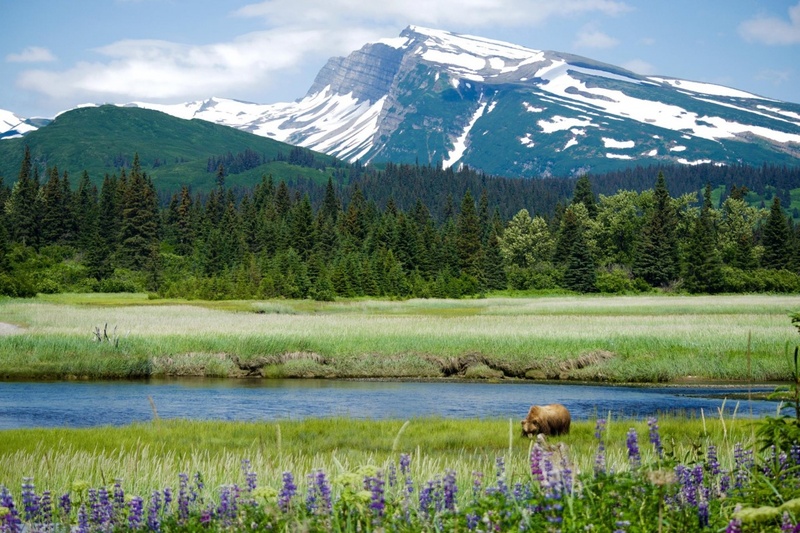 National parks in Alaska contain some of the truest wildernesses in the country. Denali National Park and Preserve is known for having a sole road connecting visitors to wildlife. But with no roads and just one hiking trail, Lake Clark National Park and Preserve can only be accessed by plane. Once in the park, visitors marvel at the stunning turquoise lakes, the vibrant plant life of the alpine tundra and the tall peaks of two active volcanoes. Bear viewing is one of the park’s most popular activities, but staying safe around wildlife is something all visitors should practice. Its only a half-hour to two-hour plane ride from the various air taxi locations that service Lake Clark, so be sure not to miss this hidden gem. The grandeur of the mountains, the diversity of the plants and wildlife, and the long history of Southern Appalachian culture make Great Smoky Mountains National Park in Tennessee and North Carolina America’s most visited national park. Another park rich with history sits just two hours away. Cumberland Gap National Historical Park was used by Native Americans who built trails and hunted around the gap. It was considered the great gateway to the west when early American pioneers began to travel through the mountains. During the Civil War, it was a highly contested area -- both Union and Confederate armies occupied it twice. Today, encompassing the intersections of Tennessee, Kentucky, and Virginia, Cumberland Gap contains miles of scenic trails, wildlife and caves for visitors to explore. 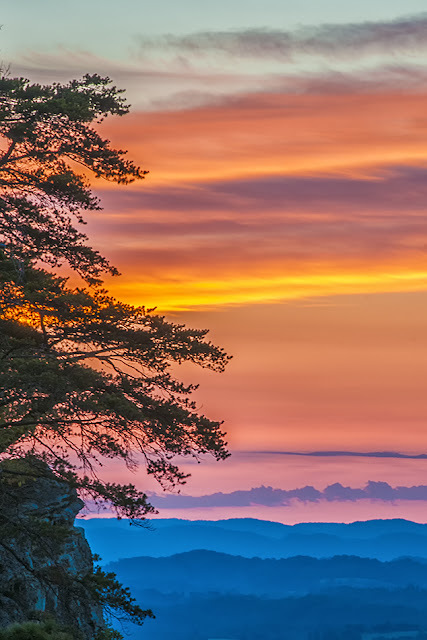 Be sure to get up early for one of Cumberland Gap’s best sights -- a colorful sunrise. Death Valley National Park is a land of extremes and has earned the record of being the hottest, driest and lowest national park. While best known for its sand dunes and ragged mountains, it’s a hidden oasis full of fish, wildlife and snow covered peaks. 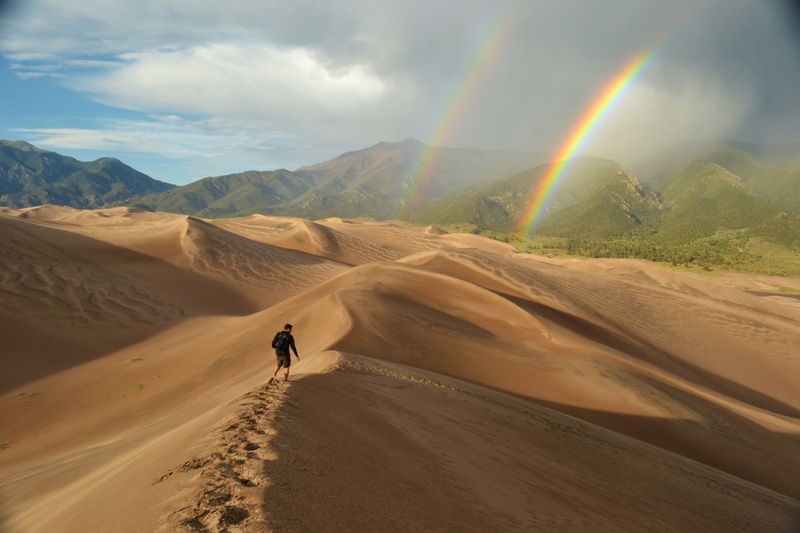 If you’re looking for another sandy sight, take a trip to Great Sand Dunes National Park and Preserve in Colorado. This park boasts the tallest sand dunes in North America, a geologic wonder that scientists are still studying. But sand isn’t the only thing you’ll get to see here -- the park includes a diverse landscape, surrounded by mountains, wetlands, forests and tundra. Visitors can sand sled, swim and sightsee all in one trip! If you’re looking for a place where activities and adventures are endless, Great Sand Dunes is the park for you. Mount Rainier National Park is known for its rugged mountains, wildflower meadows and icy glaciers. That’s why more than 1.4 million visitors adventured to this park last year. 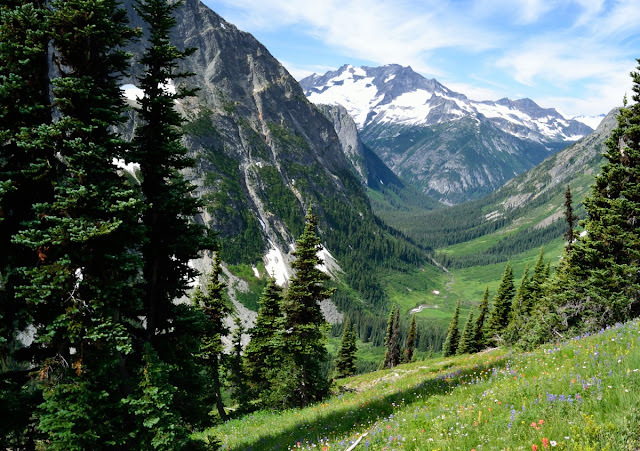 Just a few hours away in northern Washington is North Cascades National Park, a lesser-known but equally beautiful park full of valleys, forests and glaciers. North Cascades has 400 miles of trails to hike, over 200 species of birds to watch, a unique hidden town to visit and plenty of fishing opportunities. Visitors can learn more about the natural history at the North Cascades Institute of the Environmental Learning Center or engage in hands-on learning during a Ranger Program. What would you like to do first at North Cascades? Badlands National Park encompasses 244,000 acres of land that contain the largest fossil record of ancient mammals, attracting over a million visitors last year. Looking to explore the prehistoric past but avoid the crowds? 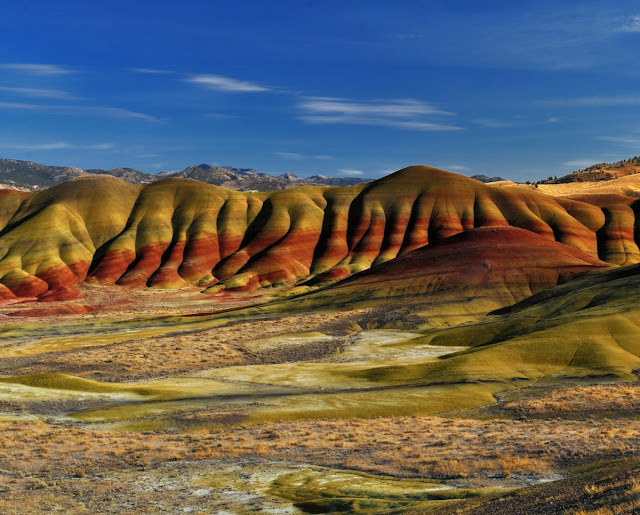 Visit John Day Fossil Beds National Monument in Oregon. Over 40 million years of history is preserved in its fossil record, and visitors are welcome to explore the fossils and geologic wonders that make up the three parts of the park. 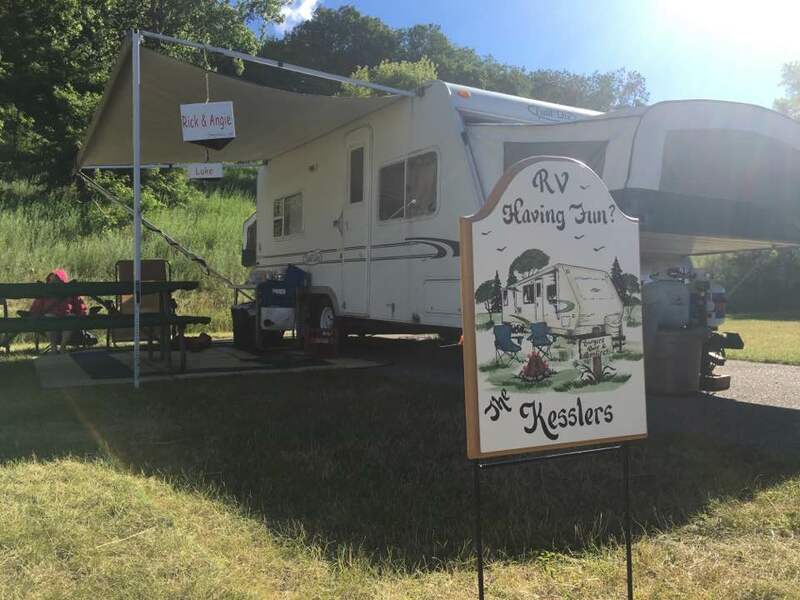 Visiting the Thomas Condon Paleontology Center, river rafting, mountain biking and camping are just a few favorite activities of visitors. Discover your inner paleontologist at John Day Fossil Beds! 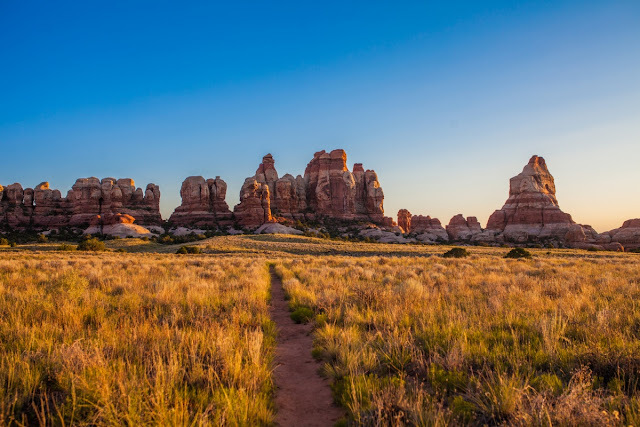 Photo of Chesler Park in the Needles district of Canyonlands by Emily Ogden, National Park Service. Unique geologic features like hoodoos and colorful layers of rock are what Bryce Canyon National Park is best known for, but a few hours away is another Utah park known for its geologic masterpieces and red rock landscape. Canyonlands National Park preserves canyons, mesas, spires, fins, arches and deep river gorges. 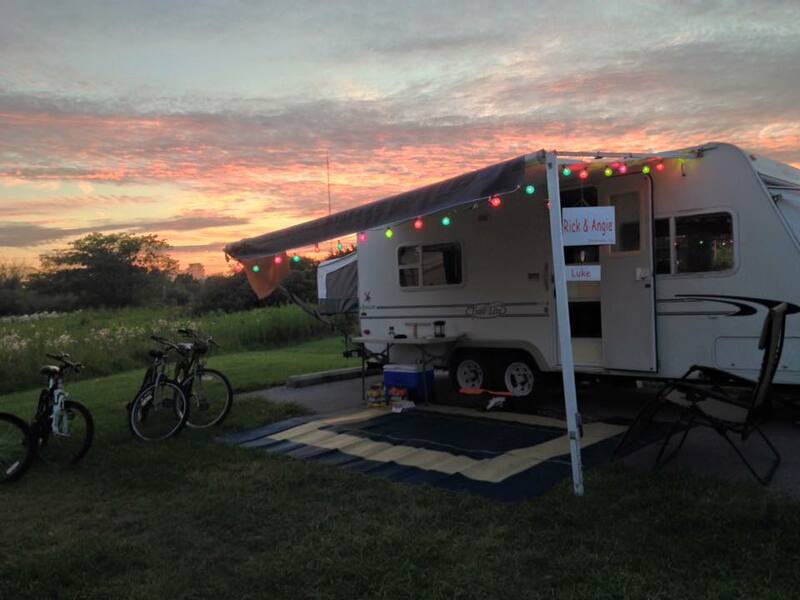 In addition to exploring the landscape, visitors can float the Colorado and Green rivers, horseback ride on trails and stargaze in dark and unpolluted night skies. Backpacking and hiking at Canyonlands provide for unparalleled views, but make sure to remain hydrated when venturing out in the Utah heat! Visit Canyonlands for an unforgettable experience. For anyone interested in American history, Civil War battlefields are outstanding places to learn about the people who shaped our past. While Gettysburg National Military Park preserves the farms and fields where the most famous battle of the war occurred, Antietam National Battlefield also tells the stories of the soldiers that fought and signifies a critical turning point in history. 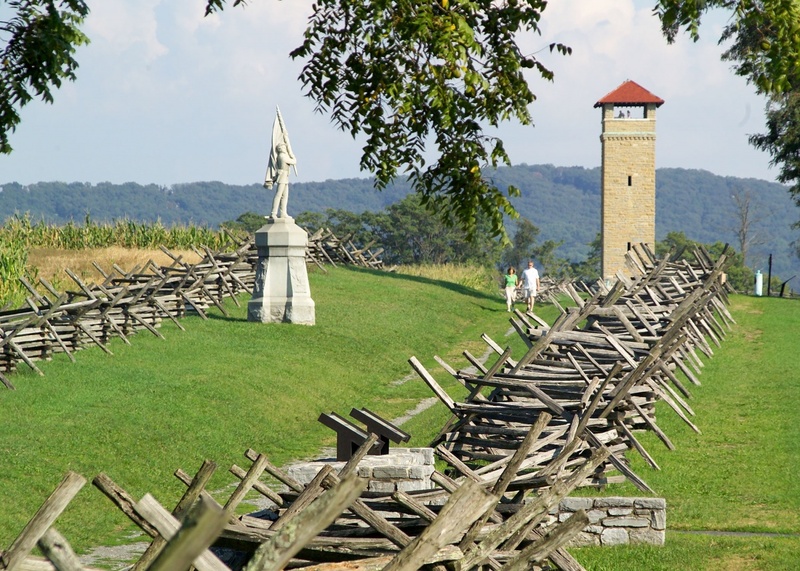 The culmination of Confederate General Robert E. Lee’s 1862 invasion into Maryland, the Battle of Antietam resulted in over 23,000 soldiers killed, wounded or missing. It remains the single bloodiest day in American history. The Union victory allowed President Abraham Lincoln to issue the Emancipation Proclamation, giving the Union cause a dual purpose of preserving the country and ending slavery. Visit the battlefield today to walk the now peaceful landscape and hear talented rangers share the incredible stories of what happened there. (Photo of kayaks along the shore at Isle Royale by Adam Jewell of www.sharetheexperience.org. Each year, more than 3.5 million people explore Maine’s rocky coastline -- hiking, climbing and boating at Acadia National Park. If you love the water adventures of Acadia, head to Isle Royale National Park for fun on Lake Superior. Isle Royale preserves one large island surrounded by over 450 smaller islands and extends about 4.5 miles into the largest freshwater lake in the world. This Michigan park offers unparalleled solitude and adventure for backpackers, hikers, boaters, kayakers, canoeists and scuba divers. And for those who love Acadia’s Bass Harbor Lighthouse, Isle Royale has four lighthouses to explore. The park is a true wilderness -- so visitors will need to come prepared for emergencies. 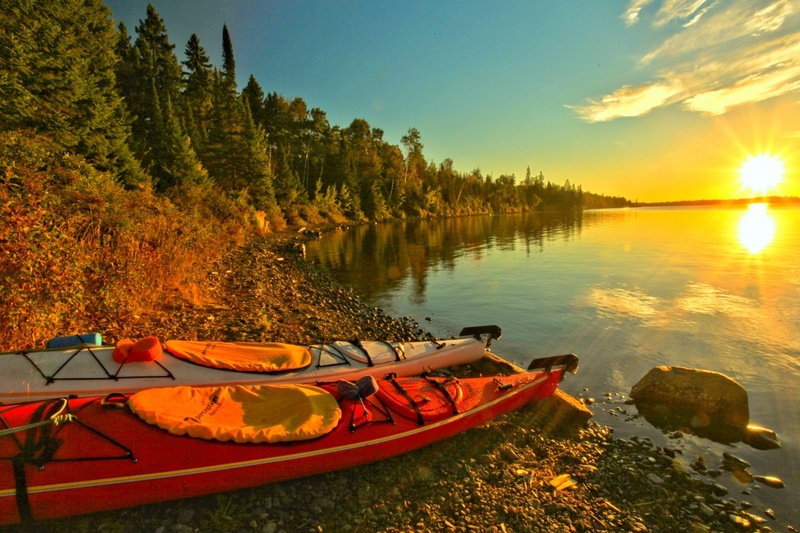 Amid Isle Royale’s remote scenic beauty, you'll make memories that last a lifetime. Get out there and #FindYourPark!